lush puppets are taking over Chilliwack! 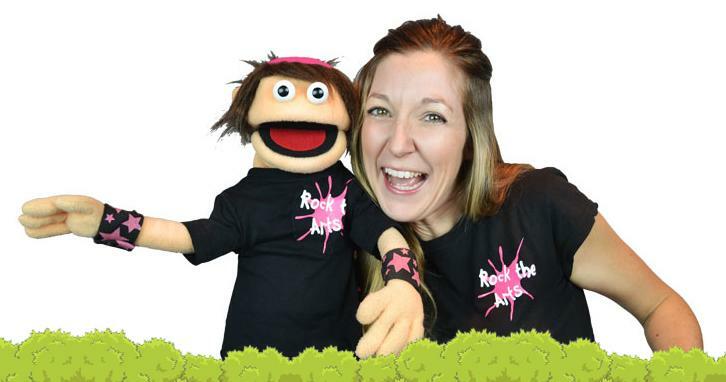 Rock the Arts, a road show that brings plush toys to life, is touring 10 local schools with unique shows designed with kids in mind from May 8-15. Sarah Argue, like many other children, grew up watching and loving puppets. Her love and passion for the art of puppetry has driven her to make a career out of it. She now has over 60 hand made puppets living with her and she never forgets any of their names. 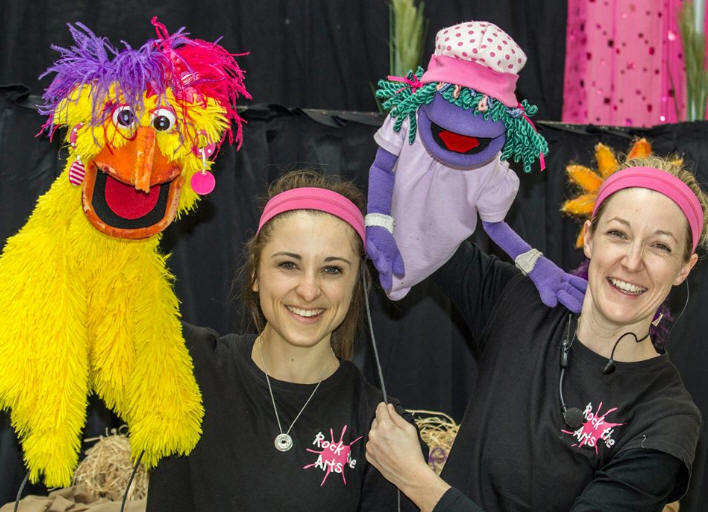 Sarah’s University degree in Theatre Performing Arts and puppeteer training with “Fraggle Rock’s” Trish Leeper and “Under the Umbrella Tree’s” Noreen Young has given her the skills to make her handmade puppets come alive and bring laughter wherever they go! Chilliwack school kids will join the Creature Crew in “Animal Adventure” on a field trip to a zoo like no other. Argue brings the puppets to life and youngsters will learn ways to help the environment and make a trek on an adventure to remember. "Our shows coincides with the school curriculum in many areas: character education, critical thinking skills, power of choice, environmental issues, imagination, and attentive listening," says Argue. "We offer a unique show and hands on workshop which allows the art of puppetry to continue in the classroom even after we leave." Each teacher will also receive a “Rock the Arts, Teaches the Arts Package” that links our shows to the curriculum and provides ways in which you can use puppetry in different subjects like math, science and computers! May 8 - Rosedale, Rosedale Rosedale Traditional Community School - 9 a.m.
May 9 - Tyson Elementary - 9 a.m.
May 9 - Unsworth Elementary - 1 p.m.
May 12 - Evans Elementary - 9 a.m.
May 12 - McCammon Elementary - 1 p.m.
May 13 - FG Leary Fine Arts Elementary - 9 a.m.
May 14 - Promontory Heights Elementary - 9 a.m.
May 14 - Robertson Elementary - 1 a.m.
May 15 - Sardis Elementary - 9 a.m.
May 15 - Strathcona Elementary 1 p.m.
Rock the Arts is an Ottawa based professional puppet company that tours year round bringing their handmade puppets to you! They have traveled across Canada and to Sydney Australia where they performed and taught at after school programs. They have appeared on YTV’s Saturday morning Crunch, CTV’s Regional Contact and Rogers Ottawa. The Rock the Arts Puppets live in Creatureville but humans are always welcome to join them in their imaginative world. Sarah Argue is the creator of Rock the Arts and one of the hands behind the puppets. Sarah has traveled in the United States for three years performing professional, educational, improvisational-based family shows. She has lived and performed at NASA’s Kennedy Space Centre, Six Flags in Los Angeles, and Branson Missouri. She has also graced the George Theatre in New York City as well as the Galveston Texas Grand Opera House. For more information, visit www.rockthearts.ca or e-mail here.